Across the country student interest in IAP2 is growing—and it’s no wonder! Savvy students who used IAP2 to network, improve their skills, and land jobs are spreading the word like no other. Practitioners are some of the first to tell us they appreciate the energy and enthusiasm that student members bring to our organizations and that students and practitioners have much to learn from each other. There are tremendous benefits to student membership in IAP2 and this page will help you learn how to take full advantage of your student membership right away. 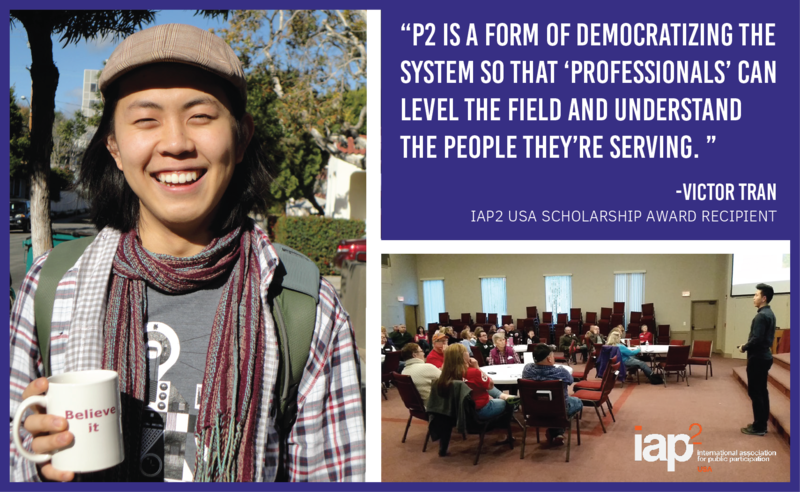 Join us and connect with practitioners and students across the country who share your passion for P2. Personalized professional guidance, advice, and networking support? Resources for job openings, letters of recommendation based on your volunteer work with the organization? A way to participate on a tight student budget? IAP2 USA may be for you! Sign up today!